Explosive activity continues. 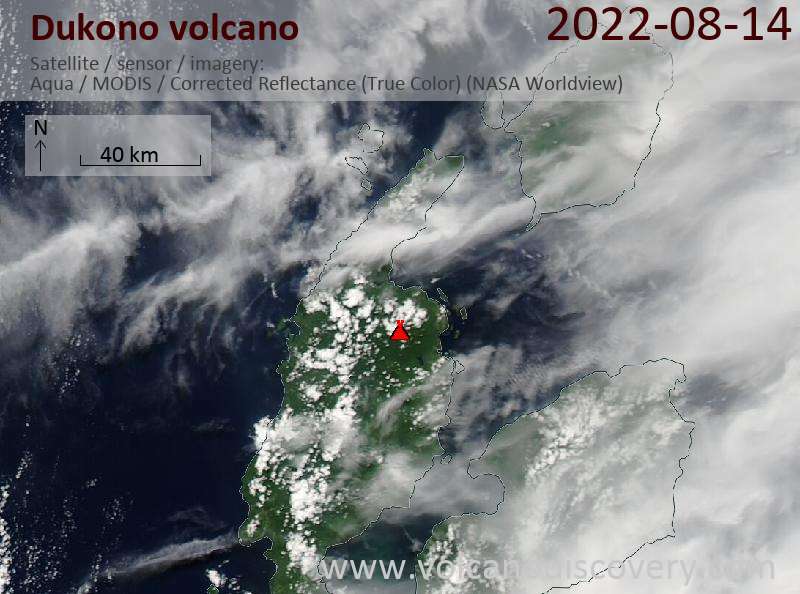 Volcanic Ash Advisory Center (VAAC) Darwin warned about a volcanic ash plume that rose up to estimated 7000 ft (2100 m) altitude or flight level 070 and is moving at 5 kts in W direction. DUE TO LIGHT AND VARIABLE WINDS. 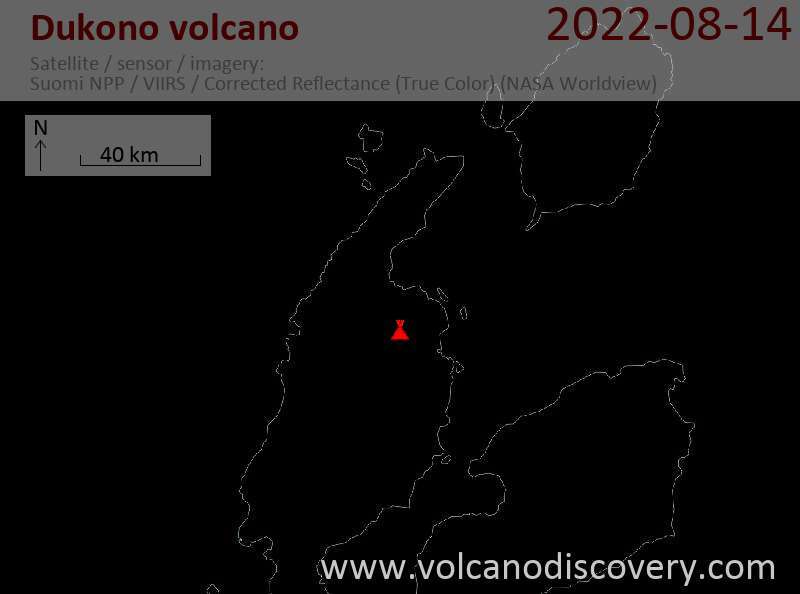 Dukono Volcano Volcanic Ash Advisory: VA OBS TO FL060 EXT S AT 16/1530Z.